If you desire to change your story, then you MUST begin telling a NEW ONE. 3- Let’s talk about now and next. When I said all I needed to say, I pressed “SAVE,” while trusting that when the time was right, the song in written words would become a song of spoken words, with the right RAPPER to speak them. “When the time is right,” I thought. Not knowing when, or who, I set it aside. Although, out of sight, it was not out of mind. It only took about an hour to write, but discovering the “right time” for it to become an actual RAP song took about 18 months. Since that day I thought about the song often. 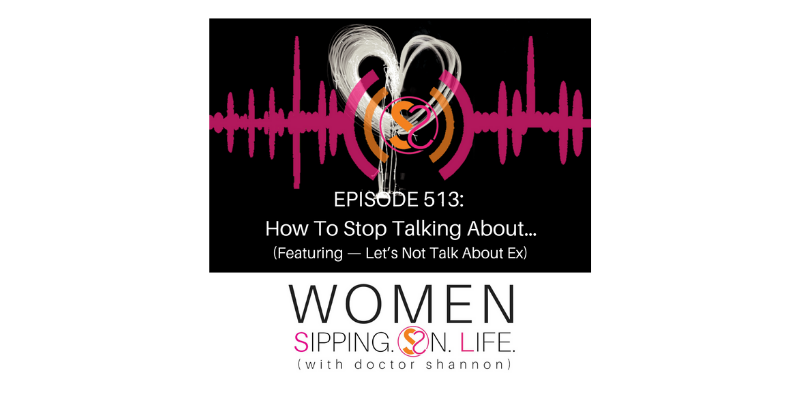 Especially when hearing the countless stories from women around the globe who continue to sing the same old tune of “BROKEN BY THE EX.” It’s like a broken record, but I get it…I was there too at one time! If I desired to change my story, I MUST begin telling a NEW ONE. So I did. I chose to sing a different tune. Who better to feature as our STAR RAPPER, than UNI V SOL?! Yes, he’s the amazing soul that introduces every podcast episode, and invites you to “listen, subscribe, and invite your best girlfriends” at the end of every message. Of course, it only made sense that HE would be our S.O.L. RAPPER. He brought my words to life!! I’m beyond grateful!! I LOVE BOTH! So, if you could CAST YOUR VOTE, and help me decide which version is the WINNER, I’d really appreciate it. Thank YOU for giving us your ear, heart, and SOL. Now, it’s time to tell a new story. It’s your time to sing a new tune, my dear!! I hope you enjoy listening/singing it, as much as we do!! Please listen to the song. And remember…Let’s Not Talk About Ex. Please click here to access Version #2 as well, and cast your vote. Thank you so much! !